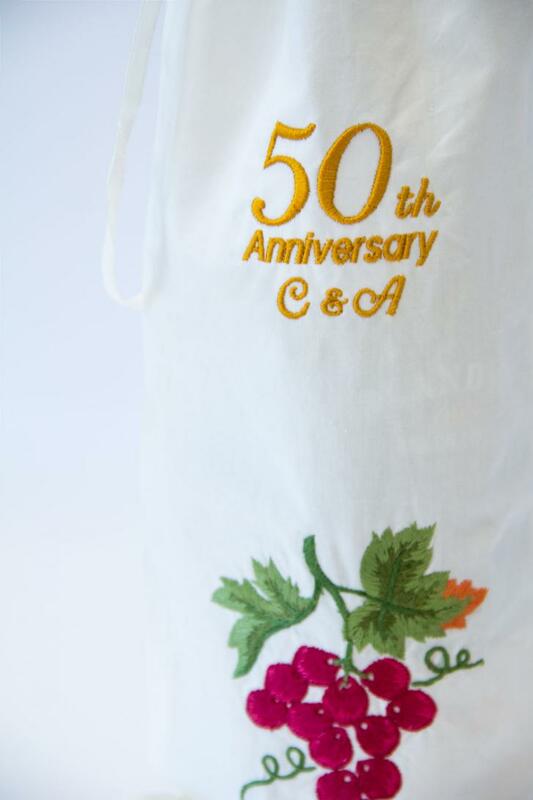 A wonderfully, thoughtful 50th anniversary gift for your mum and dad, uncle and aunty or your grandparents. 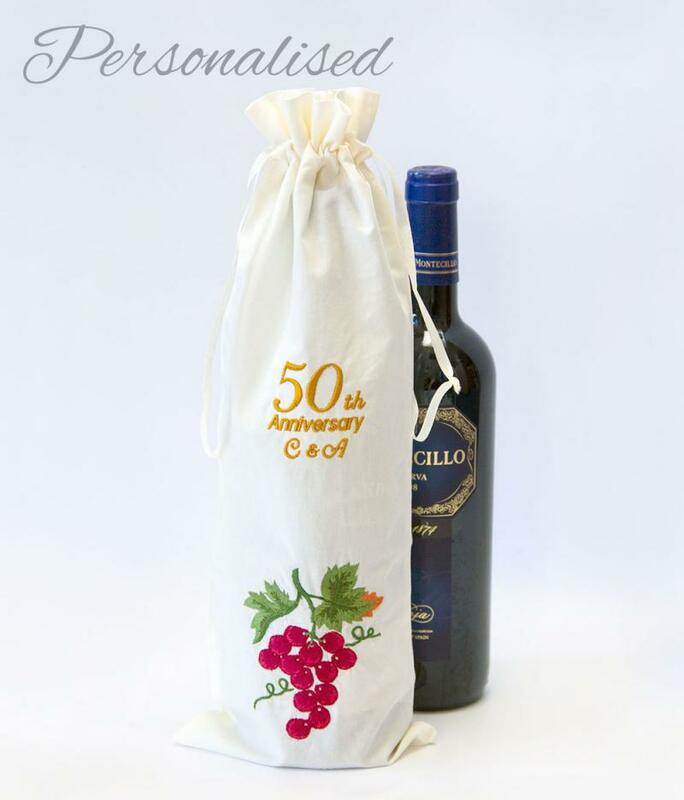 Add in a bottle of wine or bubbly to show them how much they mean to you and celebrate this special occasion! 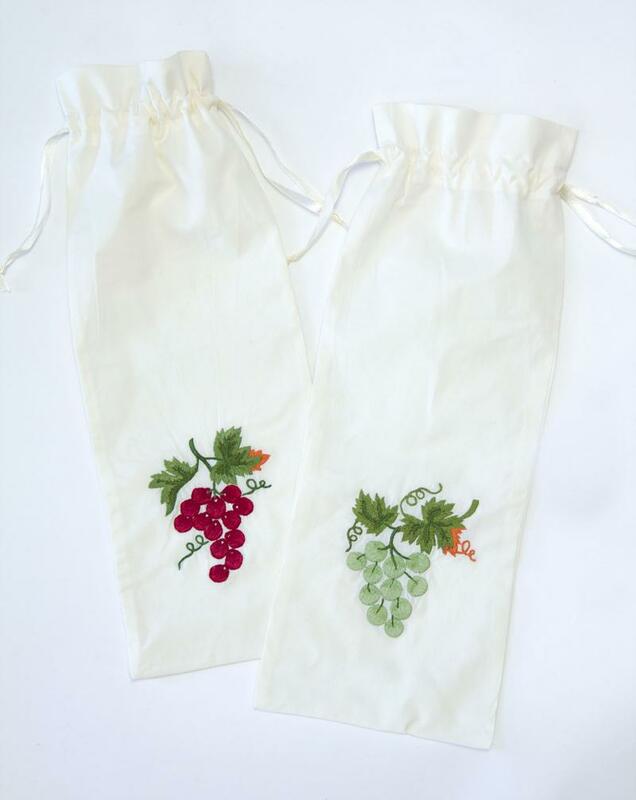 The bag is embroidered with your chosen initials in gold thread and red or green grapes.